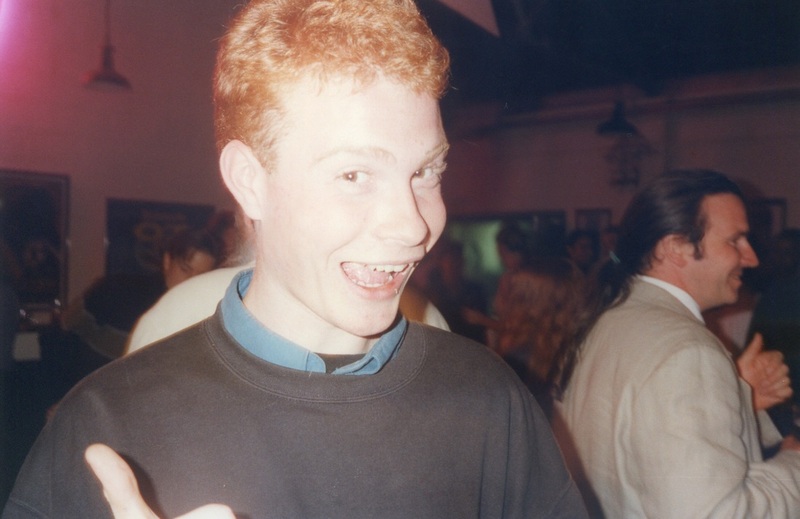 During my graduation year in 1997, I was finishing up my degree at Southampton Institute (now Southampton Solent University). 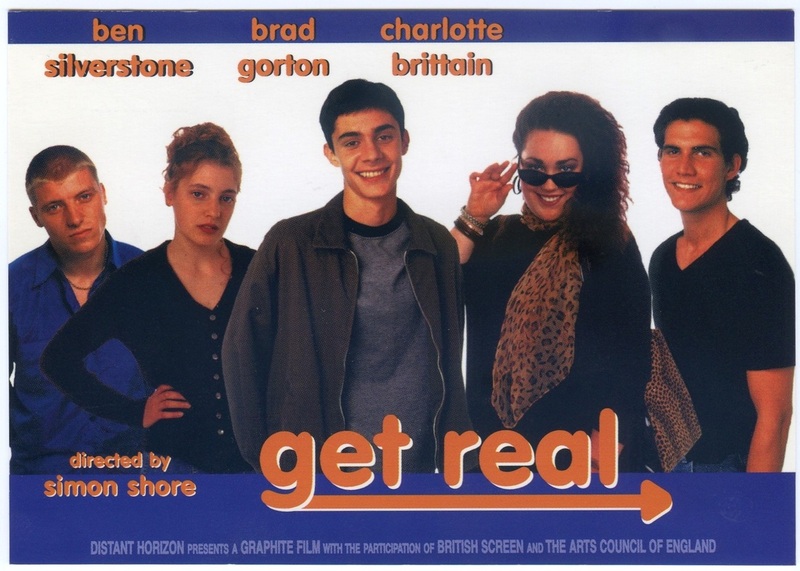 Near the end of that time, one of the course leaders gave me the contact details of someone in 'Graphite Films', who were going to make a small British film called 'Get Real'. So I contacted them and got invited down for an interview with the Director of Photography, Alan Almond. 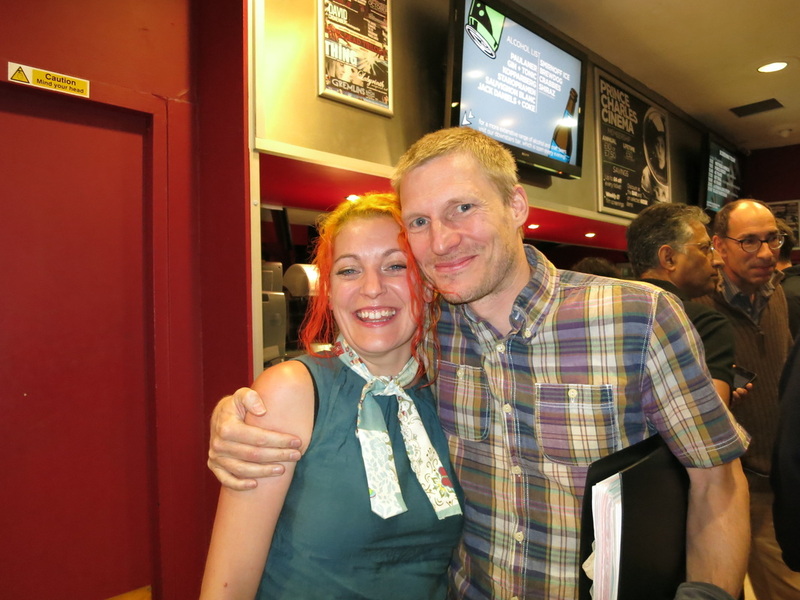 Well it hadn't been that long since I had finished shooting 'Bus Stop', so all the trials and tribulations involved in that shoot (and it's editing and completion) were all still very clear in my mind and so I discussed at length with him, my love of film and my love of filming. I discussed with him the difficulties I had experienced on the shoot, - for example, do professionals ever actually adjust exposure on the fly during a shot? After our chat, he immediately offered me the chance to work on the film in the camera department. My official capacity was to perform the 'Video Assist' work. 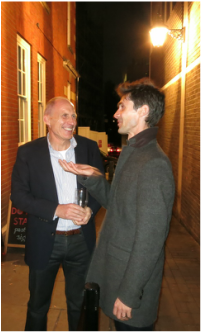 He asked me if I could come down to Shepperton Studios in London and perform some camera tests prior to actual filming. 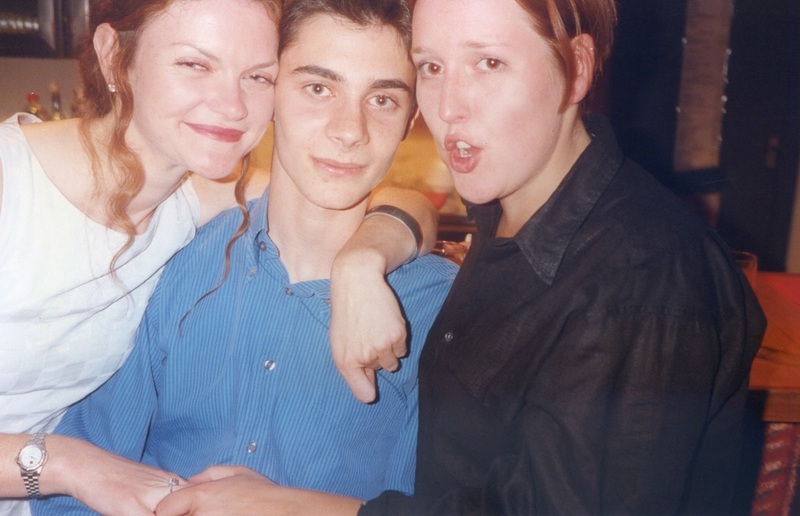 I had just completed four years at university and had absolutely no money whatsoever. 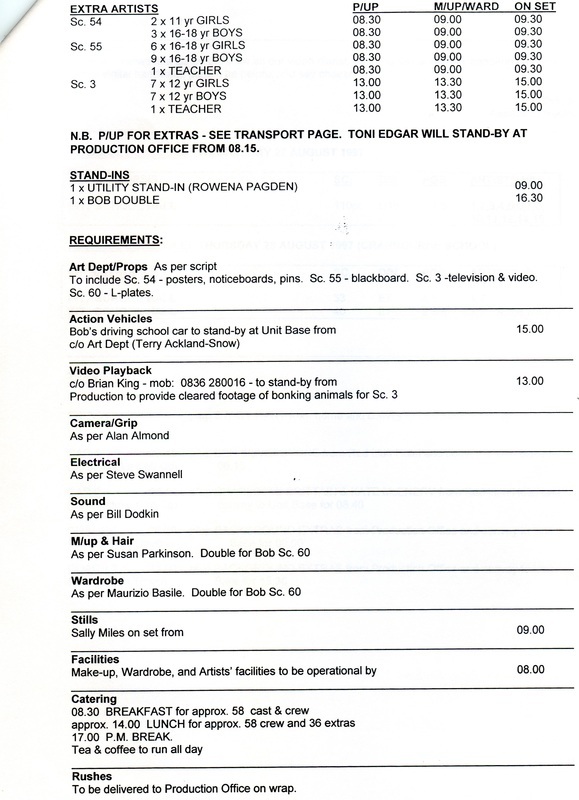 The £1.5 million production could afford to pay me £200.00 for the entire shoot - obviously I leapt at the chance! 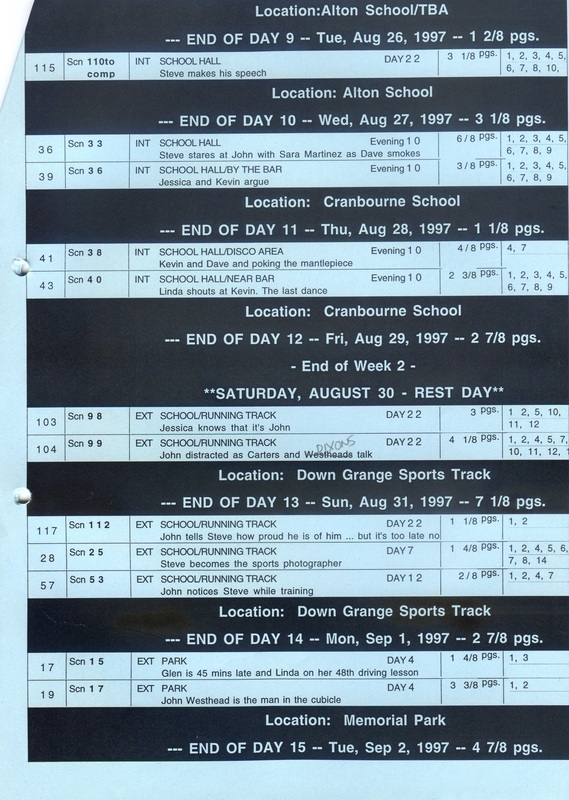 Principal photography took place over 43 days, starting on Sunday 17th August and concluding on Saturday 27th September 1997. On the credits I am listed as a camera trainee and I was very very focused (excuse the pun) during the first few days. 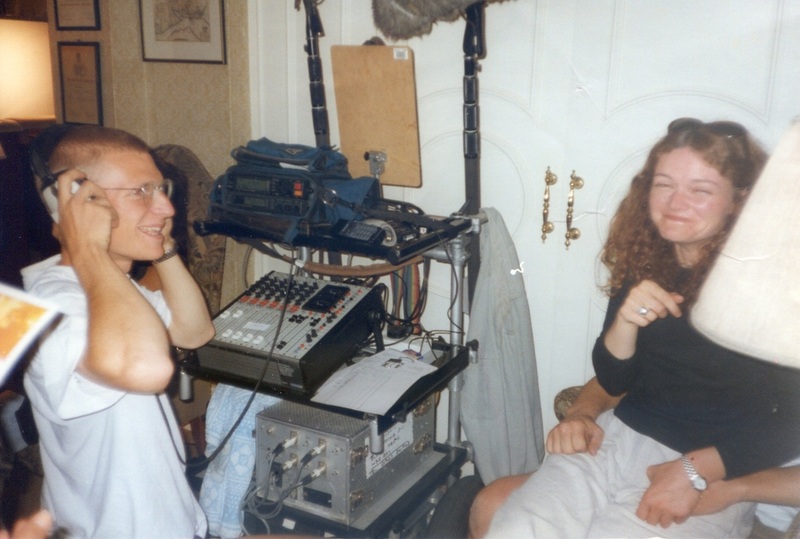 I was responsible for recording every take and having it ready for the Director to review if required. This entailed connecting the monitor up to the camera and recording everything on Hi-8 I think it was. For the first few days I meticulously recorded every take and noted it down along with counter lengths and descriptions on the tape inlays. But this took a lot of time and effort and I was far too interested in getting more involved in the meatier aspects of filmmaking. 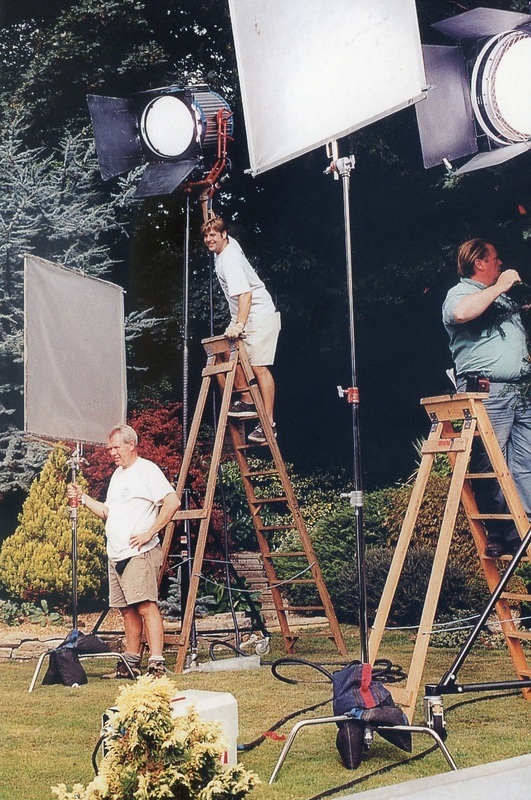 I would definitely say that Clapper/Loading is a very underrated and little-understood film profession. 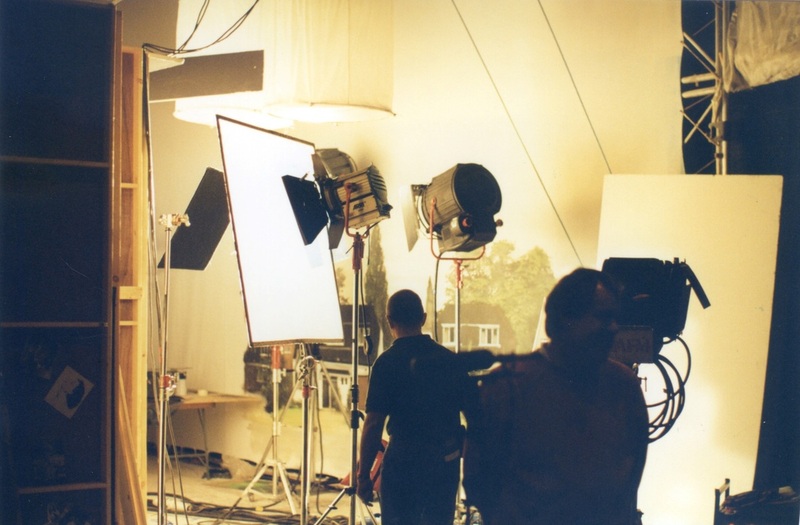 Most clapper/loaders try and progress up the 'camera' ladder and move on firstly to being Focus Pullers and then Camera Operators and then finally Directors of Photography. For me though, I would have happily stopped at being a 'Camera Operator'. It's great fun! 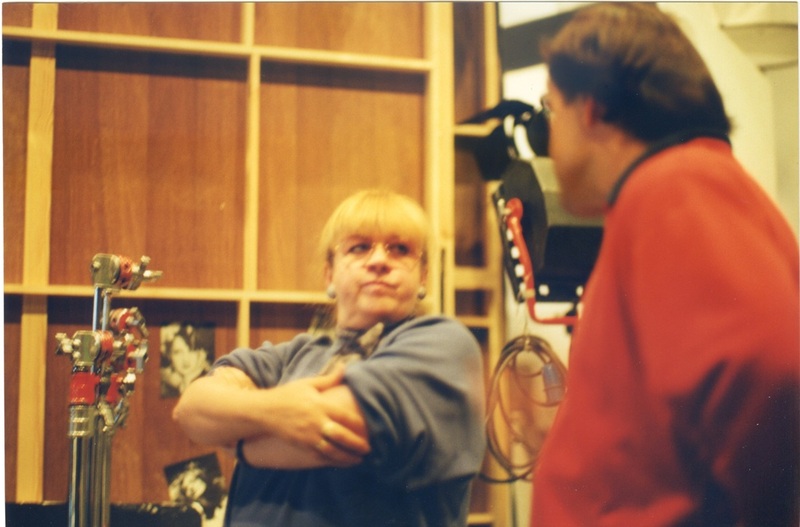 Alan Almond, the DOP allowed me to sit on the dolly and/or play with the camera whenever I wanted (even in between takes). 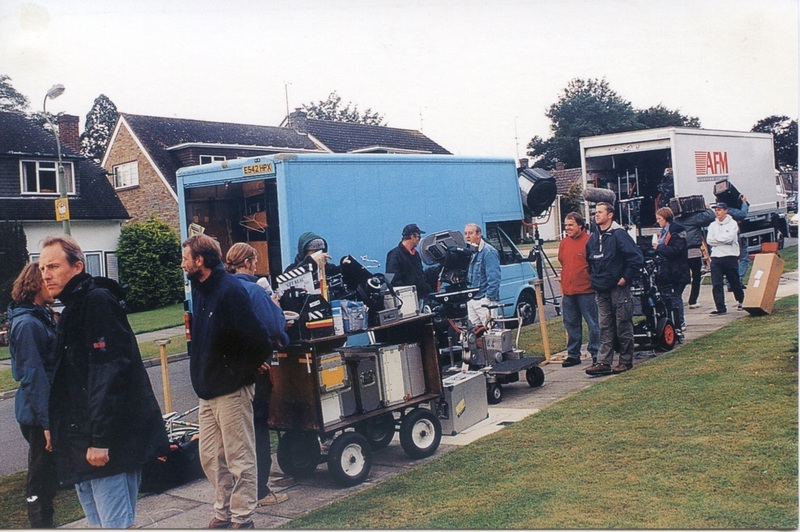 So I used to sit on the dolly with the camera and practise moving it. I spent hours doing this. 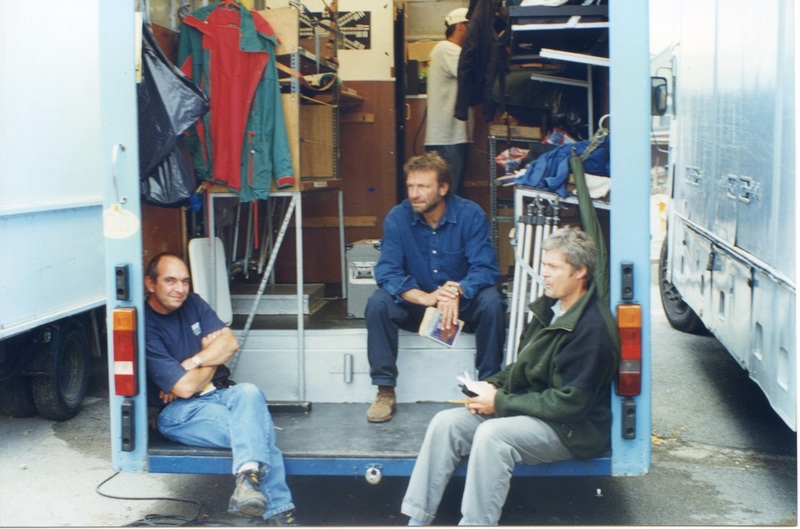 Prior to principal photography taking place, I spent several days at London's Shepperton Studios conducting camera tests and checking out the equipment and lenses etc. During this pre-shoot period at Shepperton Studios, Stephen Hopkins was shooting 'Lost in Space', so I managed to see some of the cool sets they had built. I also recall seeing a 'zorb' in the exterior water tank which they were using for a sequence for 'The Avengers', starring Uma Thurman and Ralph Fiennes. It was a great thrill for newly graduated film student to be around all of this film paraphernalia! In the image above, you can see the monitor that I've set up. It's linked via a cable to the Moviecam camera that's on the dolly. 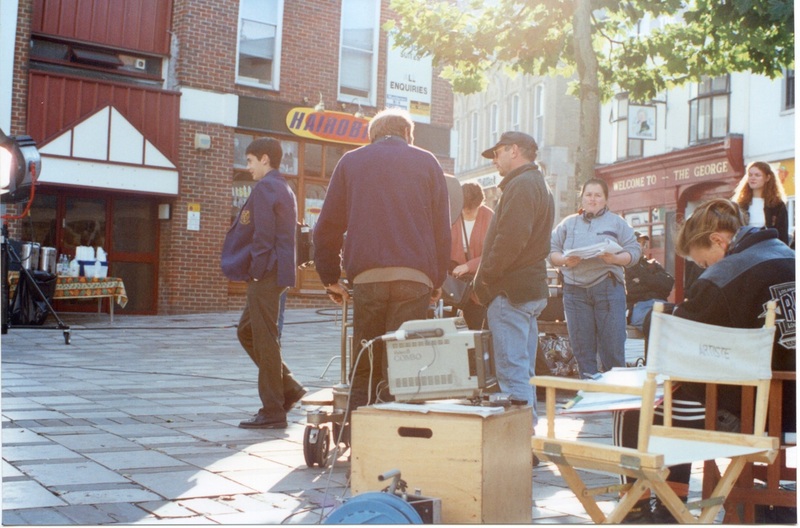 This scene was shot in Basingstoke town centre. Ben is practising his scene before we actually roll the camera. After a few days, I was being a full blown Clapper/Loader. (Alongside the 'official' one - Damon Randall). It's a great job I think. One in which you need to be on your toes constantly. I had pens, gaffer tape, tape measures, penknives, Selvytes, all tied to my belt and you spend a lot of time leaping around sets and performing all manner of tasks. Most amateurs who have a hand in filmmaking, will use a standard tripod with a 'pan bar'. That is, just a straight handle that protrudes out, which allows the operator to move the camera and point it in the direction they want. 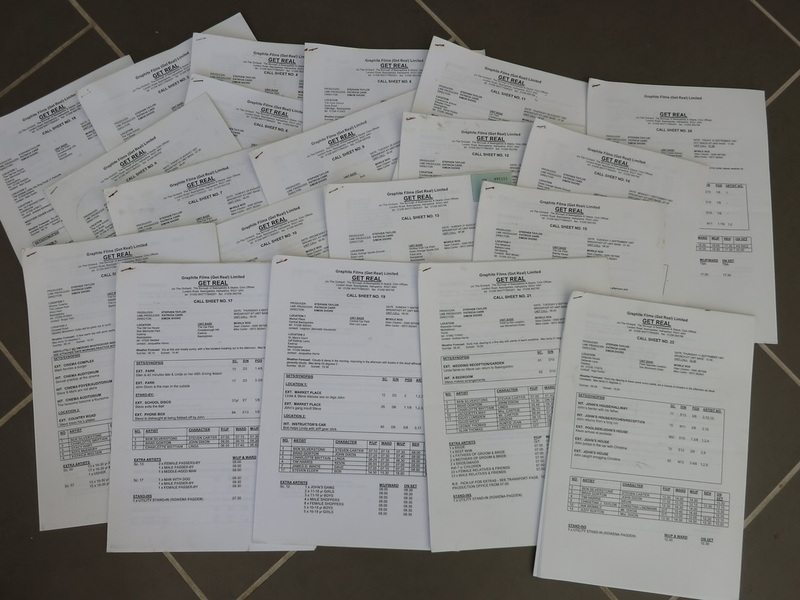 However, for professional filmmaking, that sort of configuration generally just isn't precise enough. So the industry uses what's called an 'Arrihead' and it consists of a heavy, geared, mounting mechanism that you can mount heavy film cameras onto. It has two little 'wheels' that the operator uses to pan/tilt the camera in a controlled, smooth way. Click here to see a close-up picture of an Arrihead. 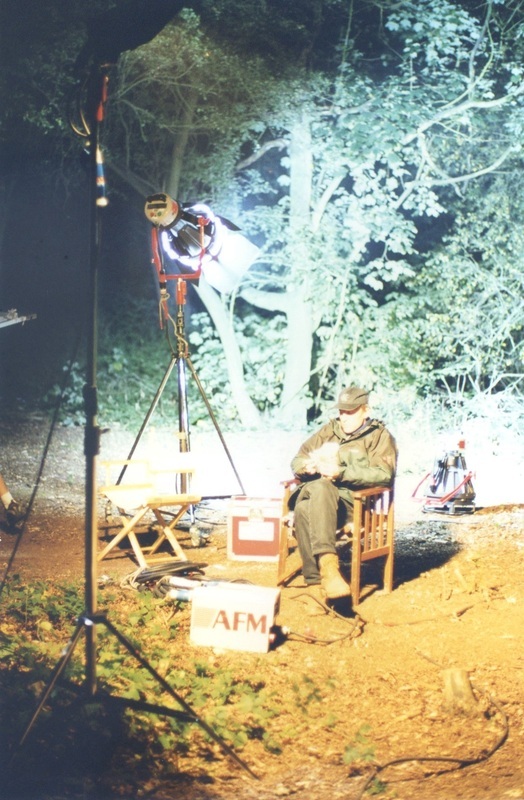 The image above shows a better close up of the Moviecam camera we used and the Arrihead mounted on the dolly. Only one of the control wheels is visible. 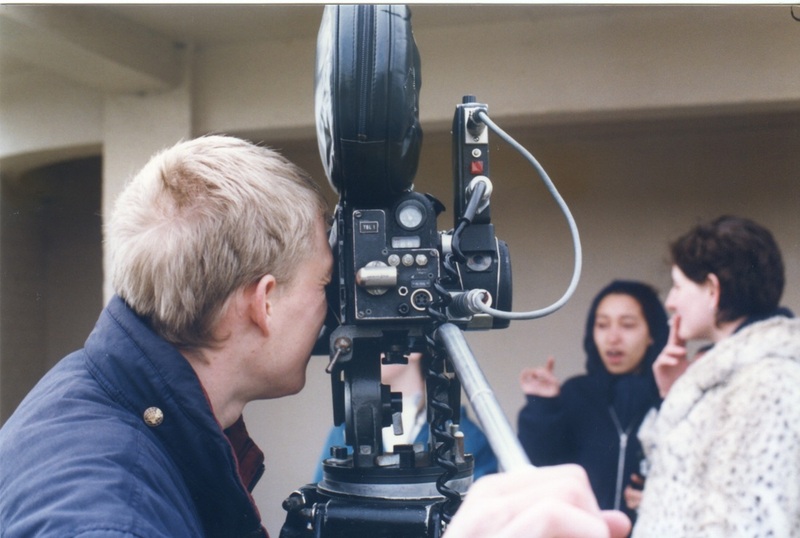 On the left you can see me using a 'pan bar' on the 16mm film camera we used on Bus Stop. These are 'okay', but they can't match the level of control and precision that an Arrihead provides. The weight and smoothness of an Arrihead's movement is glorious. And because it's geared, you can control how much the camera moves on each individual wheel turn. Despite this, I can tell you that one advantage a pan bar does have, is that it's much easier to use, and far more intuitive. Learning to control an Arrihead takes a lot of practise and patience, especially when moving the camera lens diagonally. Watching Alan Almond use it was amazing. Especially when he was filming a close-up shot of a character who is moving and then sits down or something. It's so difficult to do well! 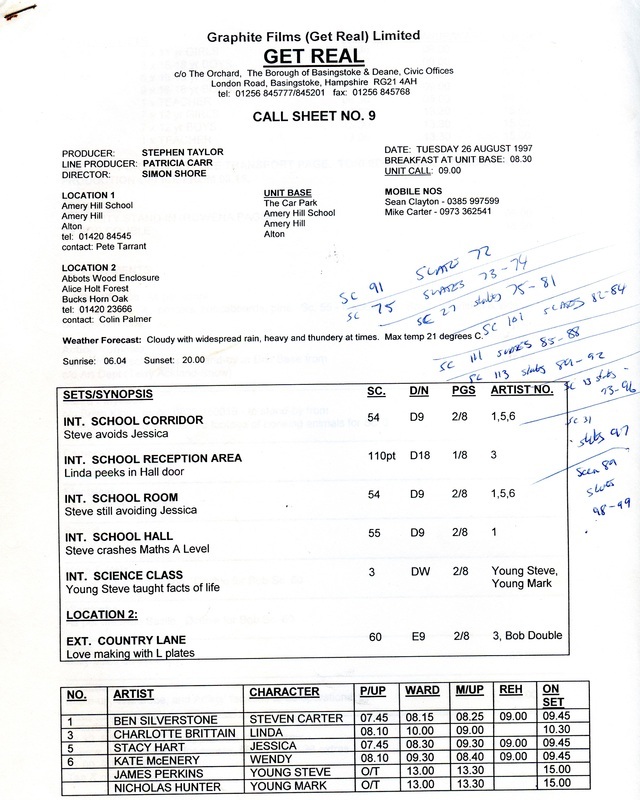 My most fun day that I can remember on Get Real was when we shot the assembly sequence near the end of the film (where Steven 'comes out'). 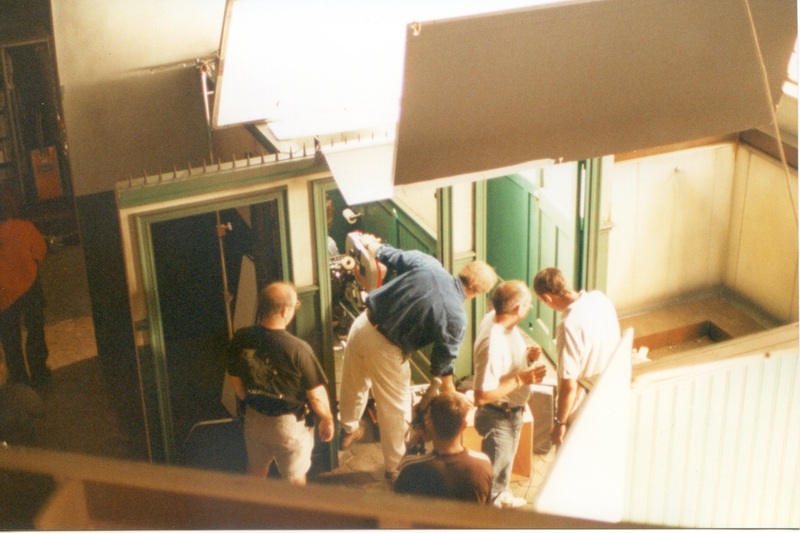 I did all the clapper/loader work that day and we had a multi-camera setup for that sequence that took multiple takes. 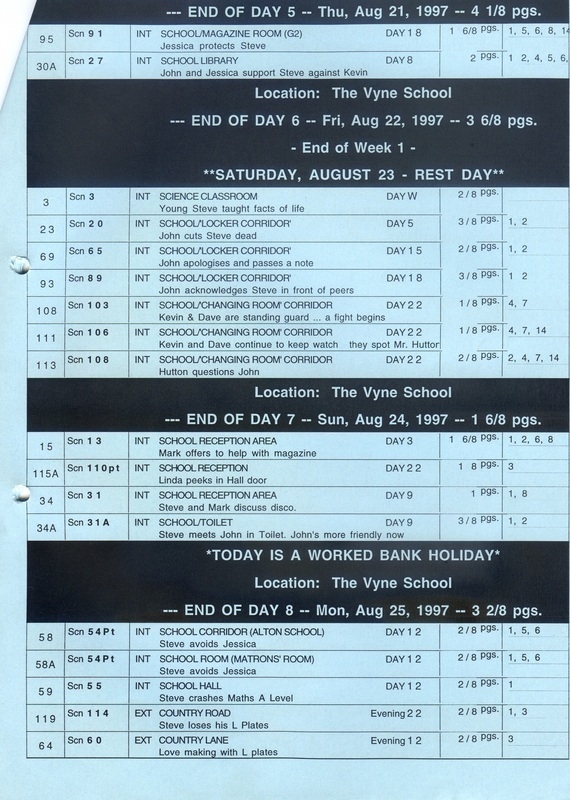 I remember running around like a lunatic, getting 'end boards' etc. With hundreds of extras too - all very exciting! 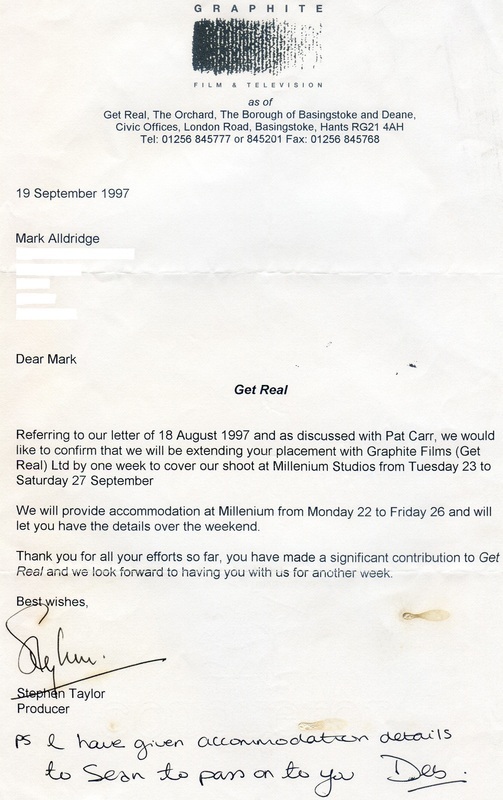 Five official Get Real 'behind the scenes' postcards were produced to help market the film. I've scanned them all and provided them below. 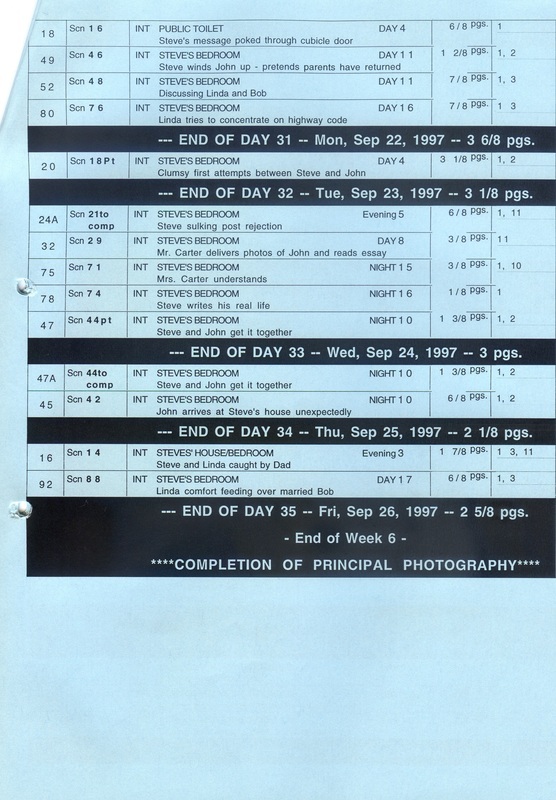 (Click for full size). 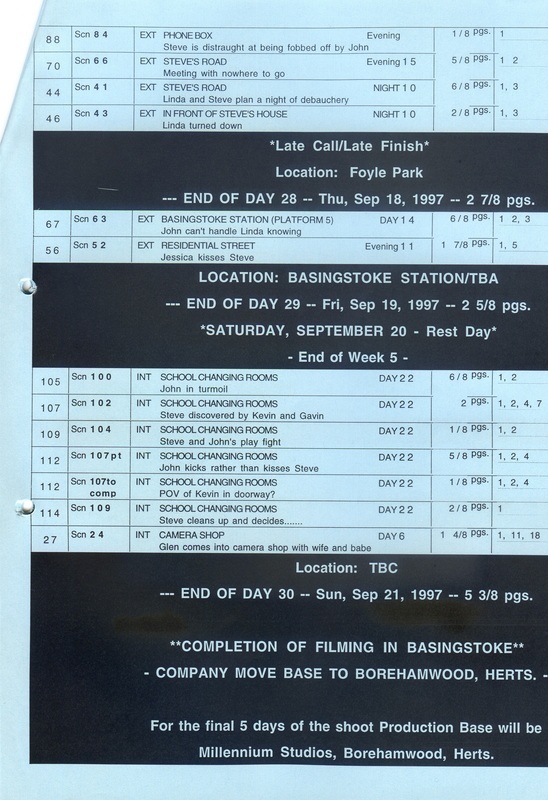 They were all shot at Foyle Park in Basingstoke. It was here that we used a house that that was to be Steven's parent's home in the film. I can see the slate in this shot! 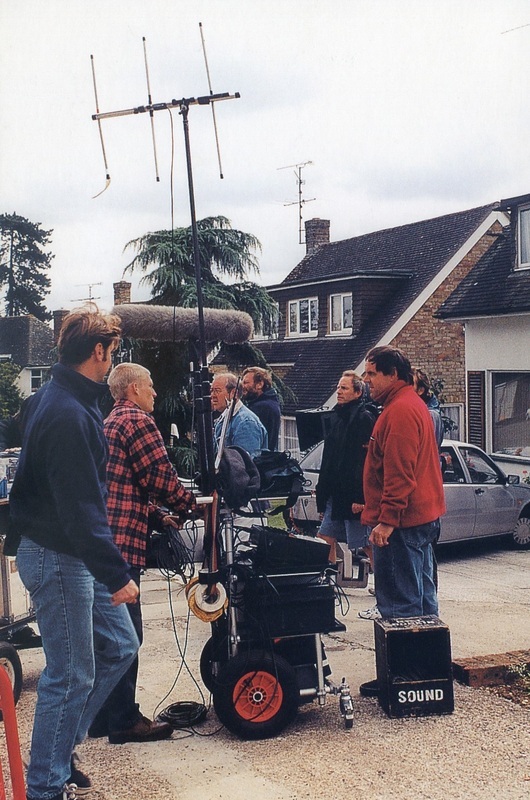 This important scene was filmed on a small set built at Millennium Studios in Borehamwood. Click an image to view full size. 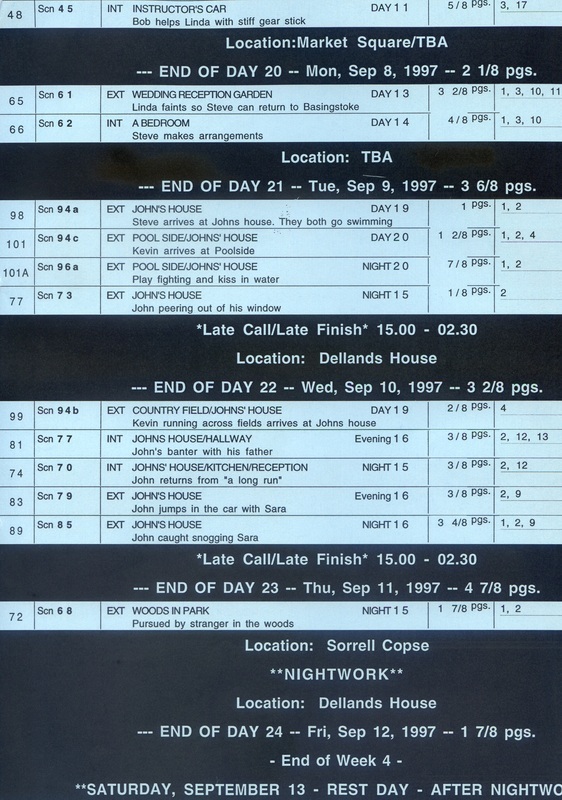 The bedroom set was small and closed off to everyone except the camera team when filming. But being with the camera, I was sat right underneath the camera, facing Ben and Brad as they went through their emotional dialogue. That painting you can see in the middle image - you wouldn't think it would be that much of an effective illusion, but it works really well. When viewed through 'Steven's' window, it really does look like a distant house. 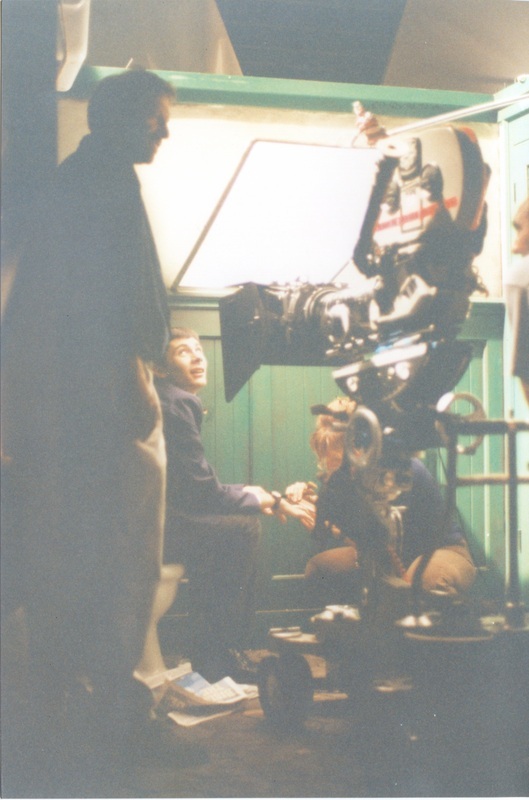 The interior of the toilet cubicles was filmed on a small set built at Millennium Studios. I managed to get a couple of photos in between shots. Ben relaxes on the toilet! 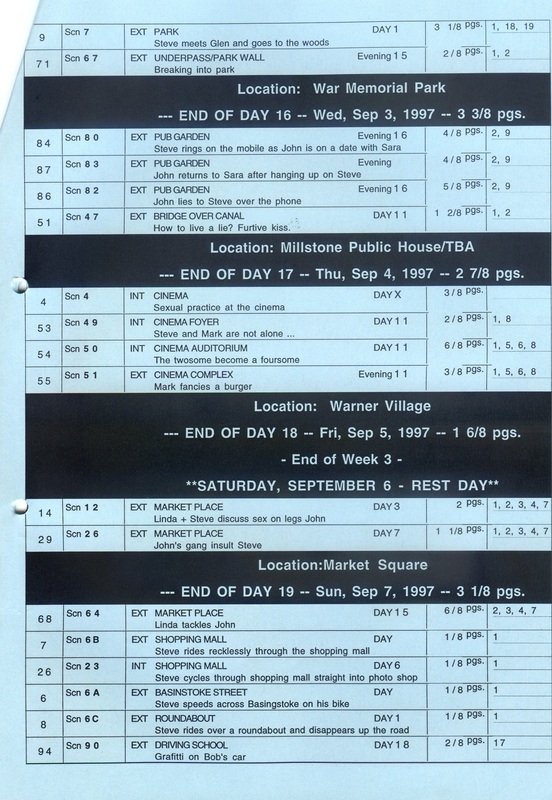 Below is the complete shooting schedule for Get Real. 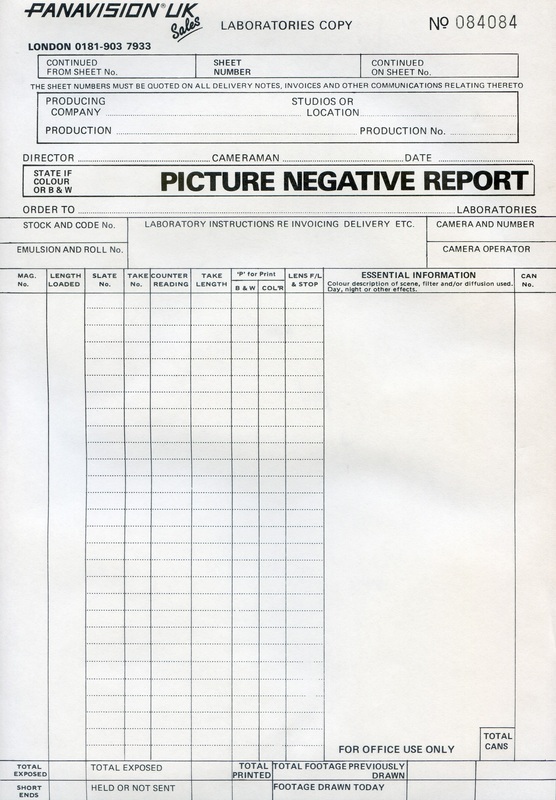 The bane of a Clapper/Loader's day: Filling out the neg report sheet that goes off to the lab. 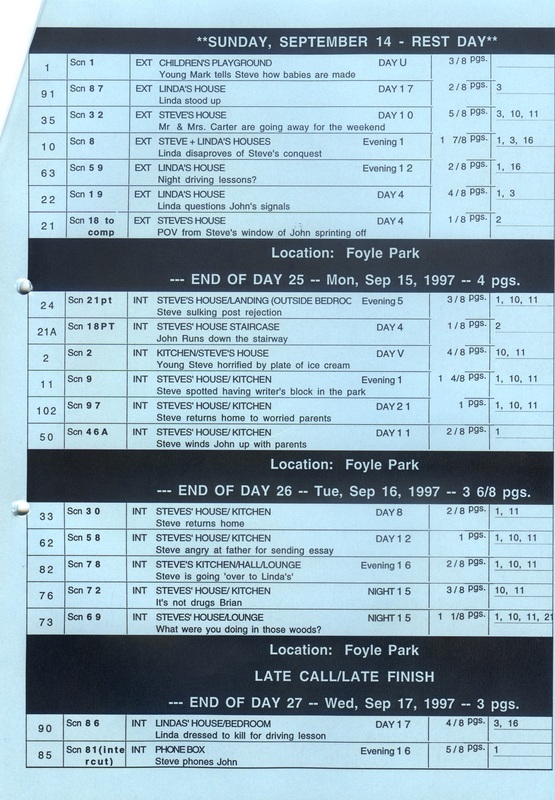 (Click for full size). 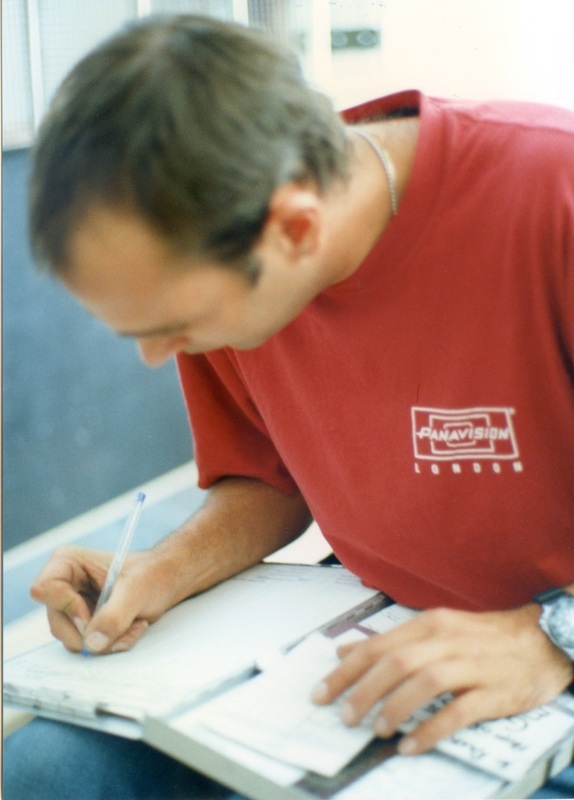 It's an incredibly important document and one which Damon always struggled with; I was always helping him out. I think he finally got it right on the last day of filming! Playing on Bill's sound trolley with Susannah Long, the on-set nurse! 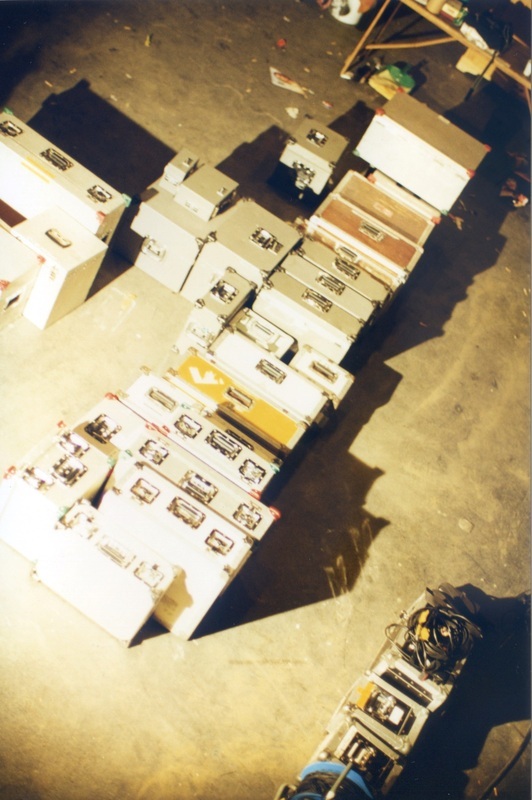 Some of the camera boxes and batteries! 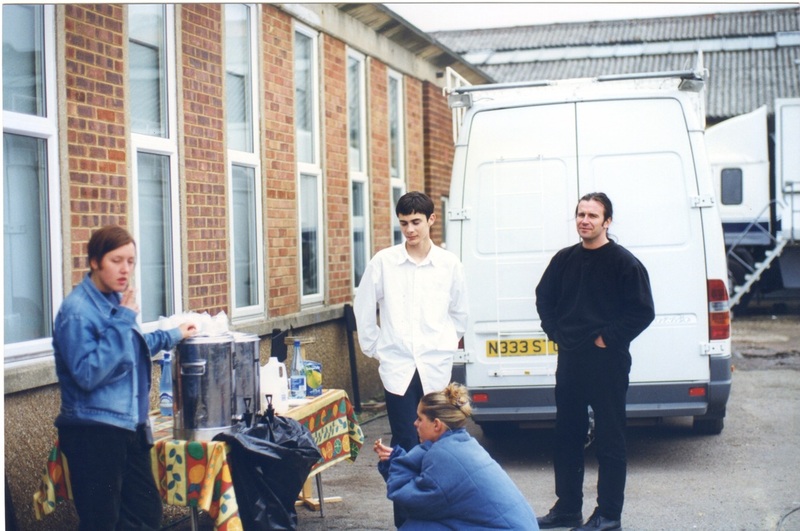 Ben about to grab a cuppa! The Grip, DOP and Focus Puller ready for action! 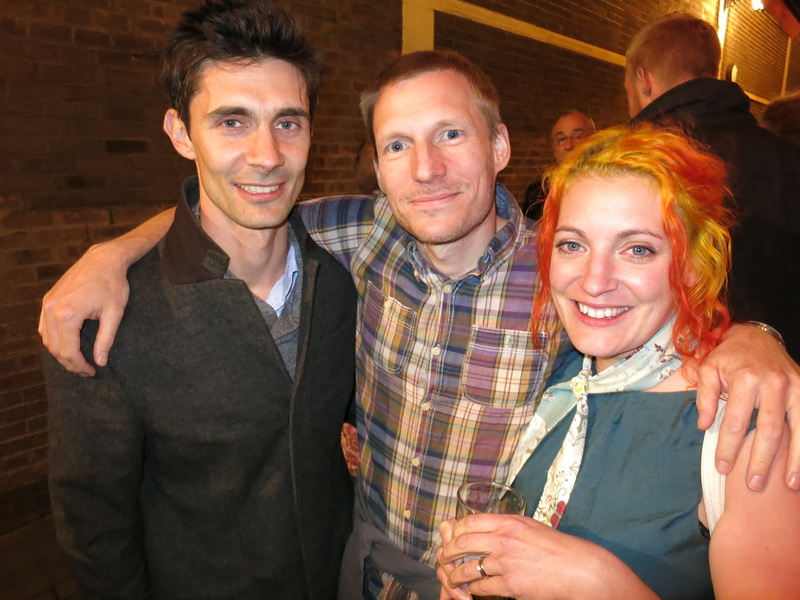 I took these on the extremely drunken night that was the wrap party. I can't remember much. The end of a great 43 days! 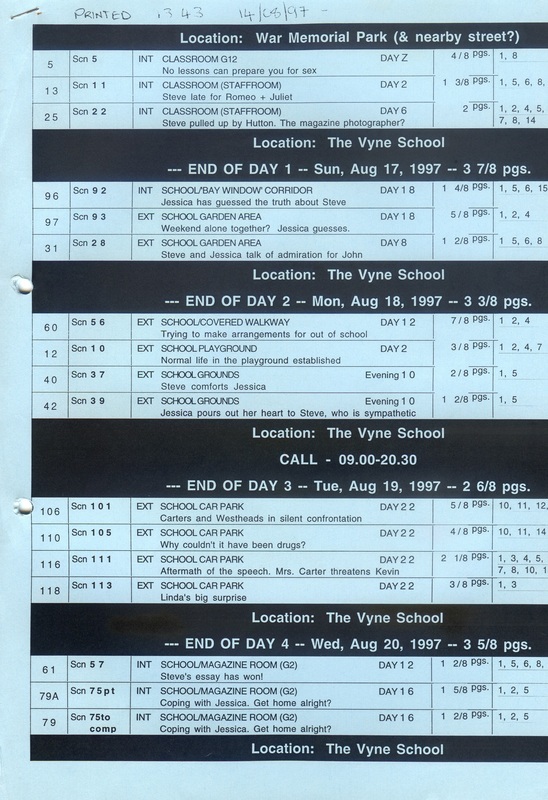 Below are documents and hand-outs that were used in the film and I have scanned various things and put them below. Click on each for the full sized image. 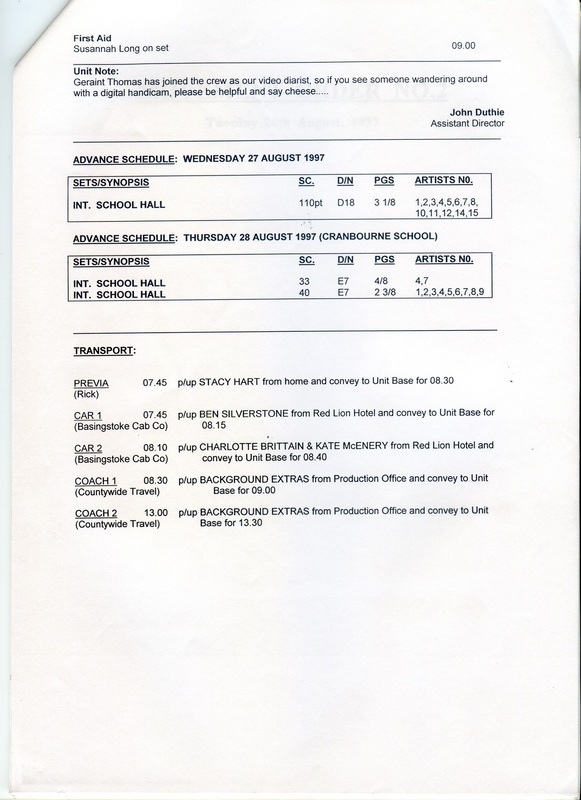 Here is the letter I got informing me that I would be staying on for an extra week to shoot at the Millennium Studios. This was great news - because I was put up in a B&B and therefore didn't have to commute to and from set for several hours each day! A week in a B&B! 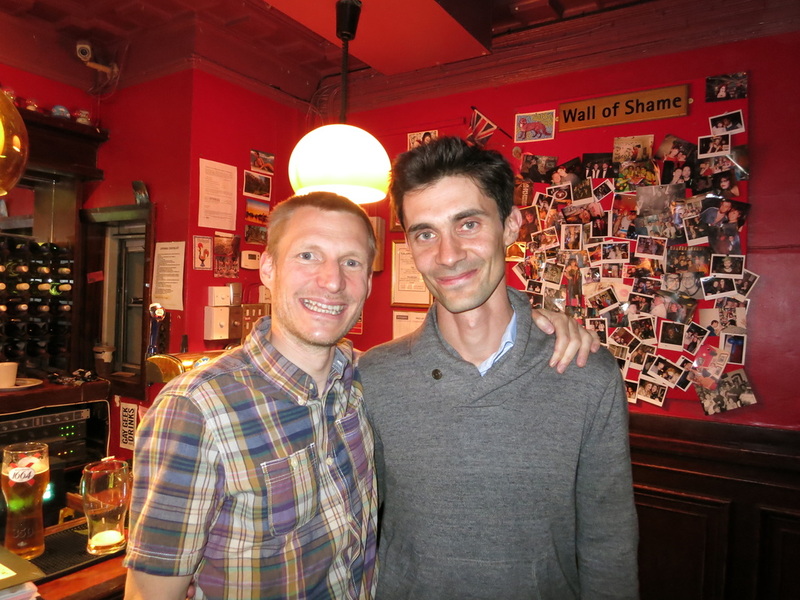 On Sunday 27th September 2015, 'Get Real' was screened at the 'Prince of Wales' cinema in London. 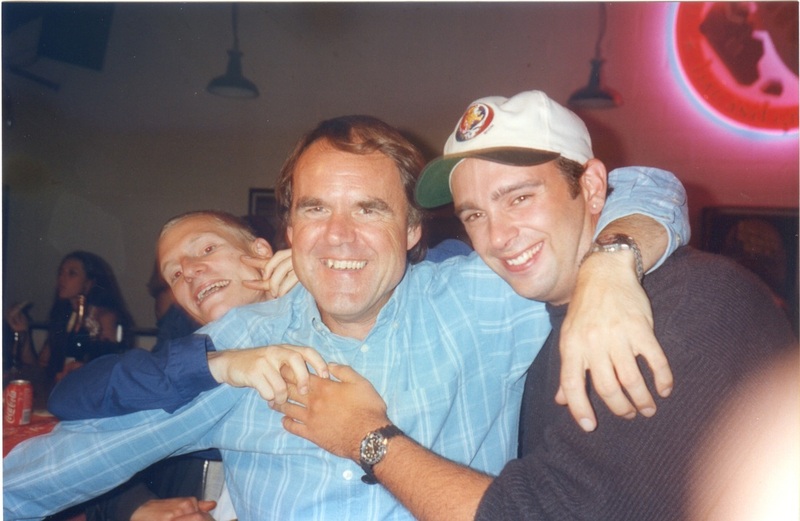 Interestingly, it was 18 years to the day that we wrapped principal photography back in 1997. 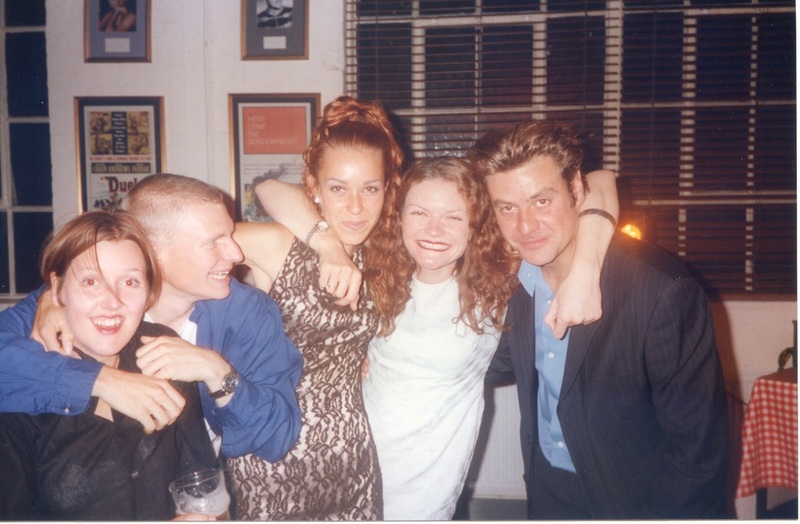 For me, it was also the first time I had seen the film 'on the big screen' since we had the cast and crew screening at the British Film Institute in London, back in 1998. The screening was sold out and after the performance, a Q&A took place with Patrick Wilde (writer), Simon Shore (director) and Ben Silverstone (lead actor). 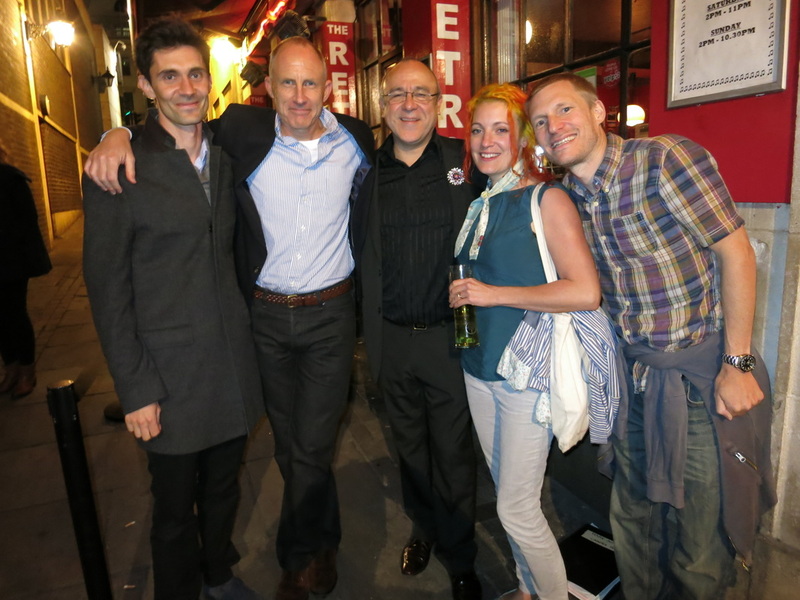 From a personal point of view, it was awesome to see Ben and some of the gang for the first time in 18 years. 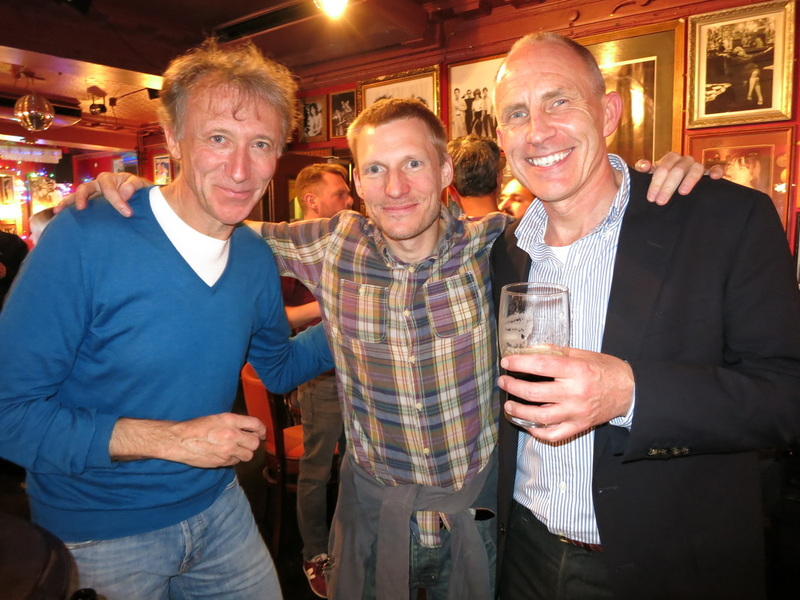 After the Q&A, we all wandered down to the 'Retro' pub in London and had a good catch up and a few drinks. Below are some of the photos I took from the evening. Myself and Ben. 18 Years Later!